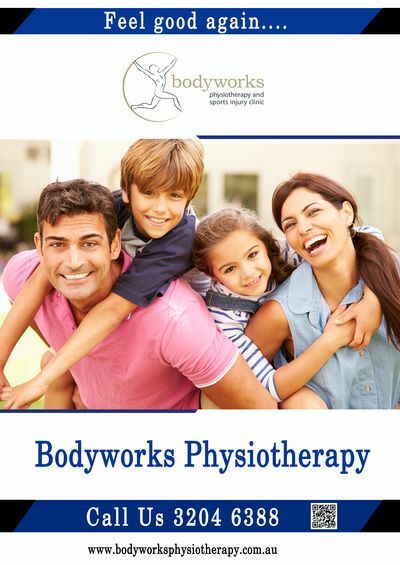 ﻿ Bodyworks Physiotherapy - North Lakes, Kallangur, Petrie. Bodyworks Physiotherapy and Sports Injury Clinic has been a physiotherapy industry leader on Brisbane’s Northside for over 25 years with clinics located in Kallangur, North Lakes and Burpengary. Our state of the art facilities and highly skilled physiotherapists ensure our patients are back to their best in the shortest time possible. The clinic has developed a reputation within the local community, doctors and specialists for excellence in Physiotherapy. We have provided in excess of 200,000 treatments and have helped over 20,000 people get back to feeling good again. With that amount of experience we are sure to be able to help you too. Our physiotherapists have worked with soccer players from English Premier League team Arsenal, Olympic swimmers, national Irish dance champions, national junior high jump champions, elite dancers from London’s West End musicals as well as Cirque Le Noir and Australian productions of CATS, Mamma Mia!, Fame, Saturday Night Fever and Lion King. If you have a sports related injury,the physiotherapists at Bodyworks have the experience and expertise to help you recover quickly and show you how to prevent problems in the future. Back pain effects over 80% of the population and is the most common condition treated at Bodyworks. Our physiotherapists have a great deal of experience and have undergone advanced training in the assessment and treatment of back pain. Each patient at Bodyworks is initially given a thorough assessment to identify which structures are causing their problem. Once this has been determined your physiotherapist will decide which of the evidence based treatment techniques and exercises will be most effective in resolving your problem. We believe strongly in long term solutions rather than a quick fix so you will also be given advice on exercises to help prevent problems in the future. We have developed a reputation for excellence in physiotherapy. "Our goal is to make you feel good again." Visit us at our Kallangur or North Lakes clinic and speak to one of our friendly physiotherapists to find out how we can help you to FEEL GOOD AGAIN. Our highly skilled and experienced physiotherapists will spend time taking a detailed account of your problem before performing a physical examination in order to make a clinical diagnosis. A thorough explanation of your problem will be given to you along with a treatment plan. Gym programs - to improve strength, power and endurance. Advice-to help correct your problem and prevent recurrences in the future. Here at Bodyworks physiotherapy we have a quality reputation for treating everyone from elite athletes and dancers through to the weekend warrior. With our level of experience we are sure to be able to help you too. Massage can be used for stress relief and relaxation or in conjunction with other therapies to help speed up recovery from injury. Pilates is a great way to improve core stability, flexibility and promote better posture and movement. Acupuncture is one of the oldest recorded forms of medicine, having been used for over 3000 years in China. Modern science has shown that acupuncture stimulates the brain to produce natural pain relieving chemical endorphins. These help the body to heal itself and give pain relief. Our headache and migraine clinic is run by Principle Physiotherapist Mark Turner who is one of the few certified Watson Headache® Approach practitioners in Australia. Several of our Physiotherapists have also undergone training with Dean Watson into his ground breaking techniques for treatment of all types of headaches and migraines including tension headaches, cervicogenic headaches, cluster headaches, menstrual headaches, vestibular migraines, etc. Bodyworks Physiotherapy has two state of the art Real Time Ultrasound (RTUS) machines. Research has shown that back pain (even one episode), will effect the activation of your deep spinal stabilising muscles. This can lead to a recurrence of low back pain, often within twelve months of the initial episode. At Bodyworks we use RTUS to help our patients understand how to activate these important muscles. We also use RTUS in the assessment and retraining of the pelvic floor and deep hip muscles. We have one of the few Galileo Whole Body Vibration machines in Brisbane. This is the same machine chosen by NASA to rehabilitate their astronauts on their return from space. Graduated from the University of Queensland in 1985. 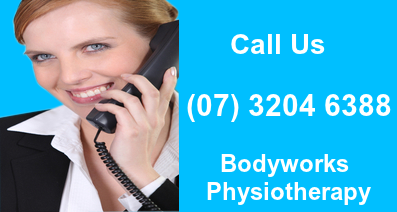 Established the Kallangur Physiotherapy and Sports Injury Clinic later known as Bodyworks Physiotherapy in 1990. Worked in private practice in London's prestigious Harley Street treating players from English Premier League team Arsenal as well as elite dancers from London's West End musicals. Treated performers from Cirque Le Noir and Australian productions of CATS, FAME, MAMMA MIA and THE LION KING. Attended numerous national and international courses and conferences and is one of the few physiotherapists in Australia certified in the Watson Headache Approach. Trained by Brent Anderson (founder of Polestar Pilates) and attained certification in Polestar Pilates level 1, level 2, level 3, Advanced Spine and Pilates for Dancers and Gymnasts. Special interest in Headaches/Migraines, Shoulders, Complex low back pain and Sports Injuries. Married to Juliann, professional dancer, choreographer and co-owner of Steps Dance Centre. Graduated from the University of Queensland in 1990. Joined Bodyworks Physiotherapy in 1992. Has attended many national courses and conferences and has undergone advanced training in continence and pelvic floor exercises for women and men, acupuncture/dry needling, muscle energy techniques for lumbar spine and pelvis, shoulder assessment and rehabilitation, Watson Approach for headaches and migraines, treatment of low back and neck pain at the McKenzie Institute. Has a special interest in Pelvic Floor assessment and rehabilitation, Sports injuries, acupuncture and low back pain. Is the current Queensland champion in women's 40-49 years division of mountain bike orienteering. Graduated from the University of Queensland in 1994. Joined Bodyworks Physiotherapy in 2002. Has undergone advanced training in continence and pelvic floor exercises for women and men, Sonography, Watson Approach to headaches and migraines, assessment and treatment of the hip and also shoulder dysfunction. Special interest in Pelvic Floor assessment and rehabilitation, Sports and Dance injuries, Pilates. Has two daughters who are very talented, up and coming dancers. Graduated from the University of Queensland in 2011. Joined Bodyworks Physiotherapy in 2012. Has undergone further training in Sports Injuries,Watson Approach to treatment of headaches and migraines, assessment and treatment of the shoulder, bike fit and cycling injuries and workplace set up. Very popular member of our physiotherapy team who has just returned from working in London where he developed a special interest in endurance training. Has special interests also in back and neck pain and sports injuries. Graduated from the University of Queensland in 2012 with a Master of Physiotherapy Studies. Joined Bodyworks Physiotherapy in 2013. Has undergone further training in the treatment of Vestibular disorders, Watson Approach to the treatment of headaches and migraines, assessment and treatment of the shoulder, Muscle Energy Techniques for the lumbar spine and pelvis, and dry needling. Special interest in Headaches/Migraines, Low Back Pain and Sports Injuries. Graduated from Bond University in 2011 with a Doctor of Physiotherapy degree. Joined Bodyworks Physiotherapy in 2013. Has a Bachelor of Sport and Exercise Science and has undergone further training in Knee injuries and rehabilitation, Lymphodema management, Dry needling, and assessment and treatment of shoulder pain. Kirstie has a special interest in Sports Injuries particularly of the knee and recently presented a paper at the Australian Physiotherapy Conference on Anterior Cruciate Injuries of the knee. Graduated from the University of Queensland in 2013 with a Master of Physiotherapy studies. Joined Bodyworks Physiotherapy in 2014. Studied Exercise Physiology prior to Physiotherapy and has undergone further training in Sports Injuries and assessment and treatment of shoulder pain. Has a special interest in Sports injuries and Low Back Pain Physiotherapist for the Moreton Bay Lions AFL team. Joined Bodyworks Physiotherapy in 2013. Uses techniques such as soft tissue massage, remedial massage, trigger point therapy, dry needling, Chinese cupping, hot rocks massage and pregnancy massage. Very experienced Massage Therapist who is registered with all the major health funds. 7 Endeavour Blvd, North Lakes QLD 4509. Servicing Kallangur, North Lakes, Murrumba Downs, Dakabin, Griffin, Mango Hill, Petrie, Narangba, Burpengary, Kurwoongbah, Rothwell, Lawnton, Bray Park, Whiteside, Joyner, Warner, Strathpine, Deception Bay, Kippa Ring, Cashmere, Bald Hills, Brendale, Bracken Ridge, Carseldine, Bridgeman Downs, Albany Creek, Newport, Scarborough, Redcliffe, Eatons Hill and other surrounding suburbs. Call (07) 3204 6388. 1518 Anzac Ave Kallangur and North Lakes Day Hospital, 7 Endeavour Blvd, North Lakes.